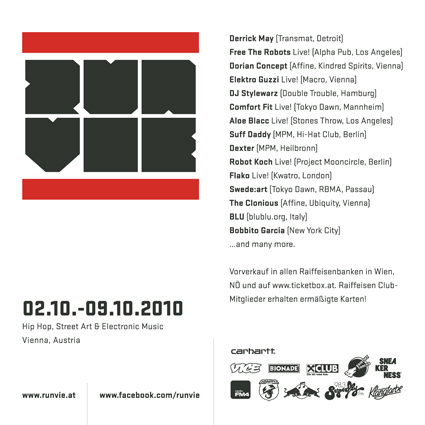 For one week the capital of Austria shows his vital music underground scene and connects it with the sound of some handpicked international artists. 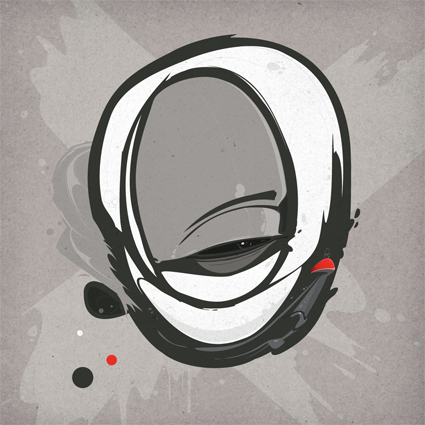 From Vienna musicians such as Elektro Guzzi, Dorian Concept & Tom Chant, or BNCKD represent the new sound of Austria, that swings between handmade Funk-Techno, Glitch, Dubstep, Hip Hop, and House. In the international Festival section neo Soul sensation Aloe Blacc stops by during his European tour presented by Carhartt. The headliner of the final bash is Derrick May, the incomparable Techno godfather from Detroit. If you want to receive an impression of how the second edition sounds, just download the first Run Vie Compilation via this way.